At Suzuki Law Offices, two attorneys are assigned to each case, not just one. You get an experienced legal team to fight for your rights. That's the definition of quality service. That's how you get results. That's the Suzuki difference. Your lawyer's skill can mean the difference between success and failure in Arizona's courtrooms. When a legal matter is important - when things really matter - it's critical to work with a lawyer who knows how to achieve the best results possible under the circumstances. At the Suzuki Law Offices, located in Tempe, Arizona, we are a results-driven law firm with results-driven lawyers. We use our extensive experience and in-depth legal knowledge to achieve favorable outcomes for our clients. Among our ranks are former prosecutors and a former U.S. assistant attorney who worked for the government before joining our law firm. Because we have been on both sides of the courtroom, we know which strategies work and which don't. We defend people accused of crimes in Arizona state and federal courts. Our clients range from people arrested for the first time in their lives to those who have extensive criminal histories. Some of our clients have been accused of misdemeanors, while others face felonies and serious jail time. As former prosecutors, we know what the other side is thinking, and we know the strategies that win criminal cases. Criminal defense lawyers at our Arizona law firm use these strategies to protect our clients' rights and freedom. A significant part of our criminal defense practice is helping ASU Tempe students accused of crimes, including arrests for drug possession and driving under the influence of alcohol or drugs. We represent people who have been injured or who lost their lives in accidents of all kinds. We handle a wide range of cases, including traumatic brain injury (TBI), spinal cord injury and paralysis, burn injury, lost limbs, scarring and disfigurement. No matter how serious the injury, our personal injury lawyers are well prepared to take on the insurance companies. We are fighters. This means that we go to trial for our clients to achieve the full and fair compensation that they deserve. We are available 24 hours a day, seven days a week to answer your questions. Consultations are always free and confidential. 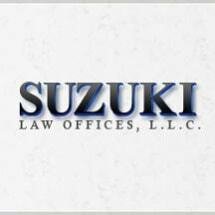 In personal injury cases, Suzuki Law Offices advances all fees and costs. You pay no attorney fees until we collect compensation for you. To get started, call 602-635-1369 or toll free at 866-932-4080. We speak Spanish. | Hablamos Español.